TGG Landscape Construction was founded in 2006 by two close friends looking to keep active by cutting lawns for some cash. Our hard work was rewarded and we began to gain more customers. Through the years, TGG evolved into a business. We are fully insured and licensed, thanks to all of our loyal customers. 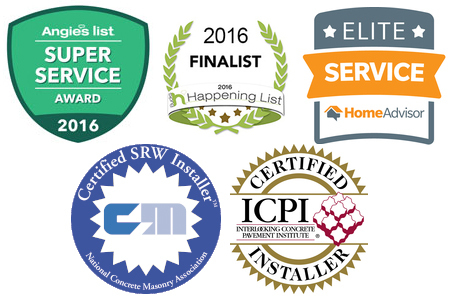 We have a commitment to honesty, integrity, hard work and customer satisfaction in everything we do. The Grass Groomers are operated by owners Sean McDonald and Kyle Armstrong. Sean has a Bachelors Degree of Science in Environmental Design & Ornamental Horticulture from Delaware Valley College. Kyle has all certifications for electrical installation. Sean McDonald was born and raised in Bensalem, PA, where he attended St. Ephrem school until 2005. While in grade school he began building TGG Landscape Construction by mowing a few lawns throughout the neighborhood. For High School, he attended Conwell Egan Catholic graduating in 2009. At the age of 18, Sean continued his education by attending Delaware Valley College and receiving a Bachelor of the Science degree in Landscape Architecture & Ornamental Horticulture in May 2013. Sean is dedicated to his business and loves spending time building upon his craft. In his free time, he enjoys spending time with family and friends. When he is not working, you can find Sean at sporting events or down the shore. He also is involved with his community, giving his free time to coach CYO basketball during the winter months. Sean prides himself on creating a relationship with each client he deals with on a daily basis, making each project unique on both a personal and professional level. Sean is certified with the Interlocking Concrete Pavement Institute (ICPI) for installing patios and walls. Kyle Armstrong was born and raised in Bensalem, PA, where he attended St. Ephrem Elementary School. 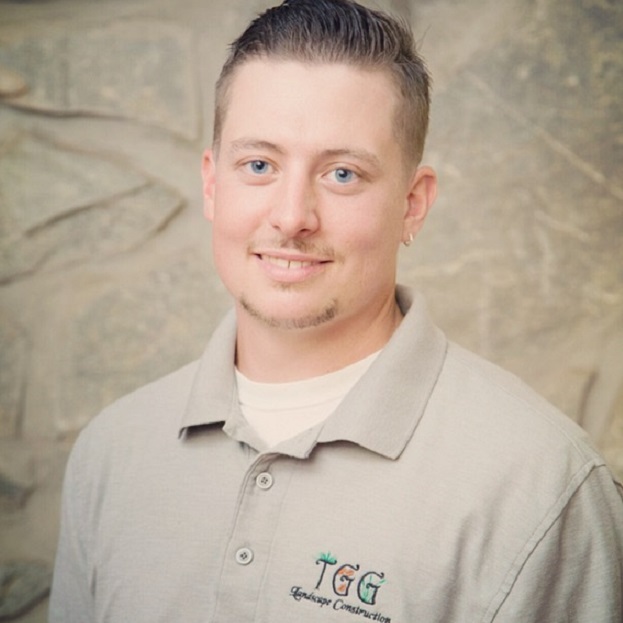 He began building TGG Landscape Construction with Sean McDonald in 2006. Kyle later graduated from Bucks County Technical High School with a concentration in Electrical Repair in 2009. After high school Kyle worked for Millman Residential Electric where he further pursued his electrical expertise by earning a journeymans certification. Kyle later applied his electrical and mechanical skills at Seravalli Contractors where he repaired a variety of diesel equipment. 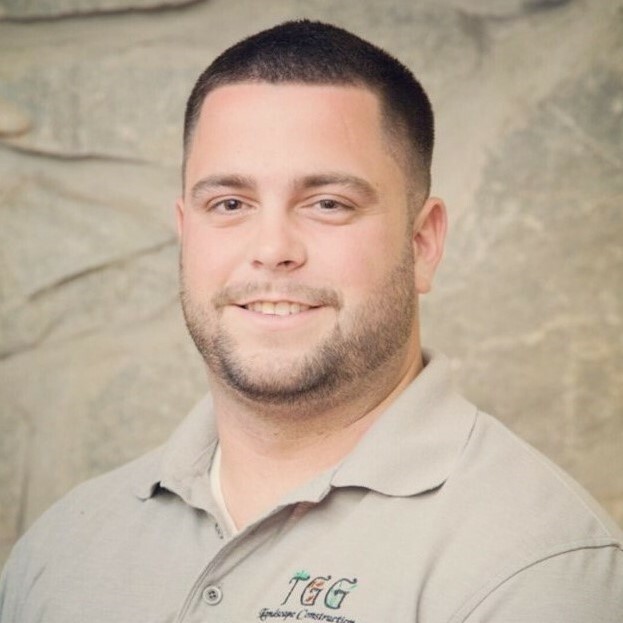 In 2015, Kyle became the Principal Field Manager at TGG Landscape Construction. Kyle’s responsibilities include management of construction sites, operating equipment, and maintenance and repair of all equipment. Kyle is certified with the Interlocking Concrete Pavement Institute (ICPI) for installing patios and walls. In 2016 Kyle married his longtime girlfriend Kaitlyn. They live in Langhorne with their dog Scarlet.